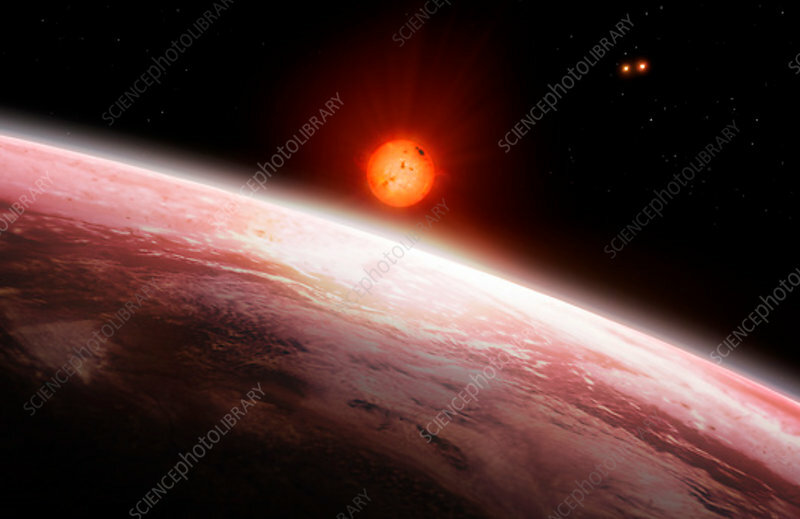 Illustration of the view from the innermost of the two exoplanets orbiting Gliese 667 C (largest star, a red dwarf) in the Gliese 667 system. The Gliese 667 A B binary star system is to the upper left of Gliese 667 C. There are at least two planets in this multiple star system, called Gliese 667 Cb and Gliese 667 Cc, which lies around 24 light years from Earth, in the constellation Scorpius. Six planets in total have been proposed but four are contested as of 2018.